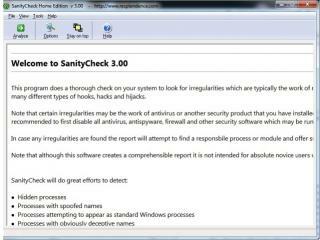 SanityCheck is an advanced rootkit and malware detection tool for Windows which thoroughly scans the system for threats and irregularities which indicate malware or rootkit behavior. 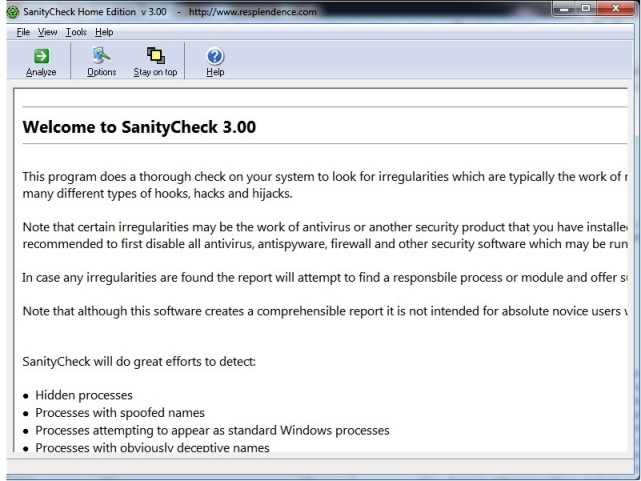 By making use of special deep inventory techniques this program detects hidden and spoofed processes hidden threads hidden drivers and a large number of hooks and hacks which are typically the work of rootkits and malware. It offers a comprehensible report which gives a detailed explanation of any irregularities found and offers suggestions on how to solve or further investigate any situation.